It’s his turn! 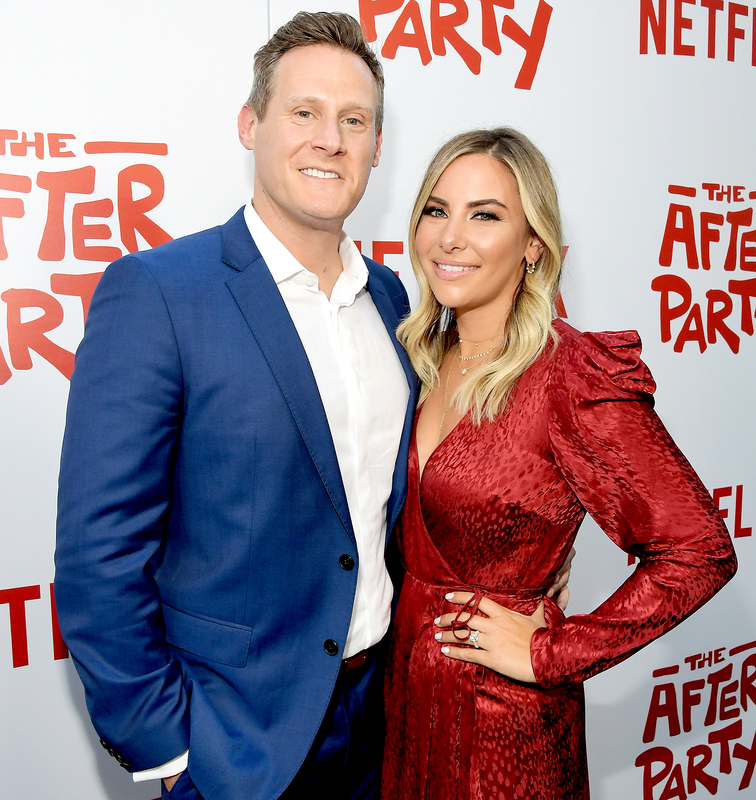 Duchess Meghan’s ex-husband, Trevor Engelson, kicked off his pre-wedding celebrations with a Bachelor party. A source tells Us Weekly exclusively that the 42-year-old director celebrated his upcoming marriage to Tracey Kurland in Miami earlier this month. His fiancée, meanwhile, had a bridal shower at Ivy at the Shore in Santa Monica on Saturday, March 23. Kurland and her guests snacked on pizza, mini crab cakes and tuna tartare before ordering one of the four main courses offered: a grilled vegetable salad, grilled salmon, penne with fresh tomato sauce or a hamburger/cheeseburger. Us confirmed in June 2018 that Engelson proposed to Kurland in Napa, California, after three years of dating. The Remember Me producer was previously married to Meghan from 2011 to 2013. The twosome, who started seeing each other in 2004, cited irreconcilable differences after quietly separating in August 2013. Engelson’s engagement to Kurland came less than a month after Meghan, 37, married Prince Harry at St George’s Chapel at Windsor Castle. The Duke and Duchess of Sussex are expecting their first child together. The former Suits star, who is due at the end of April or early May, is set to celebrate her pregnancy with a second baby shower in the U.K. next month. “It’s not happening until the first week of April. Duchess Kate will be there, as well as a lot of Meghan’s U.K. friends and family,” an insider told Us, noting that Meghan’s mother, Doria Ragland, will be in attendance. Meghan celebrated her first baby shower in New York City at the Mark Hotel last month. The former actress’ friends Amal Clooney, Gayle King and Jessica Mulroney were among the celebrity guests at the bash. An insider told Us that Meghan did not open presents at the shower to keep her baby’s gender under wraps.